With our open carriers, we can load as many vehicles as needed, and move them anywhere in the lower 48 states. If you need to have them there in a hurry, our open auto transporters will get them there. 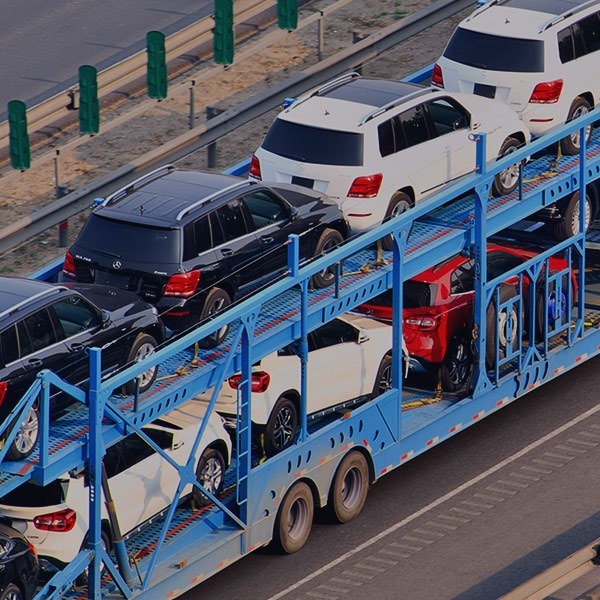 We’re also licensed and insured, so if something unexpected happens, you can have confidence in knowing your auto transport company is standing behind their open carriers. We don’t want to be embarrassed by a rusty falling apart truck pulling up at your front door. Our equipment is clean, maintained, and in perfect shape. It’s a good feeling when a clean vehicle shows up to your home or business isn’t it. The other guys can’t do that. Call us now and learn more about our open auto transporters, and how we can get your cargo, no matter the size, or the number, where and when you want it. Fully insured. Comfortable. Safe. That’s SDM Transport. After your experience working with us, you’ll be back. We promise. (123) 123-4567.